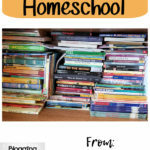 Do you need a reading program for your homeschool? Are you looking for something that is simple yet fun for the kids, and easy for mom or dad? I know what you need! 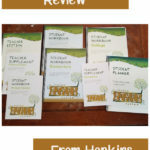 We had the chance to review Horizons 1st Grade Phonics and Reading Set from Alpha Omega Publications. 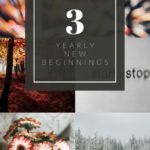 I have had my eyes on this program for a while and was not disappointed in what I seen while using it! We received the 1st Grade Phonics and Reading Set, this included a Teacher’s Guide, two Student’s Workbooks and 2 Companion Readers. These are all physical products that we were able to hold and write on! I loved this and so did Ray Ray. 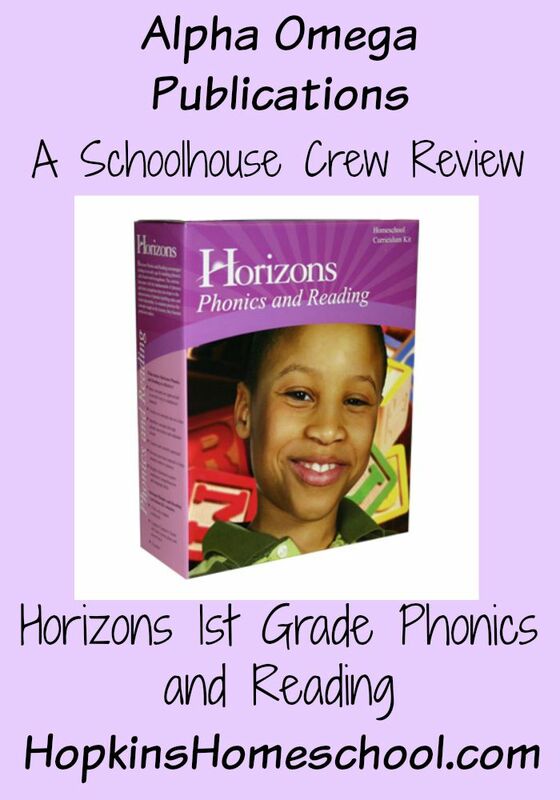 While this is the full phonics and reading program, Horizons does also offer their spelling and vocabulary for 1st grade to complete your child’s language arts class. With this set, we did not have to get anything extra to complete our lessons, besides a pencil. There are 160 lessons including reviews in this program. This makes it possible to use this as a full year of phonics and reading. Each day, I would simply look at the overview for the lesson, to see what we would be learning. 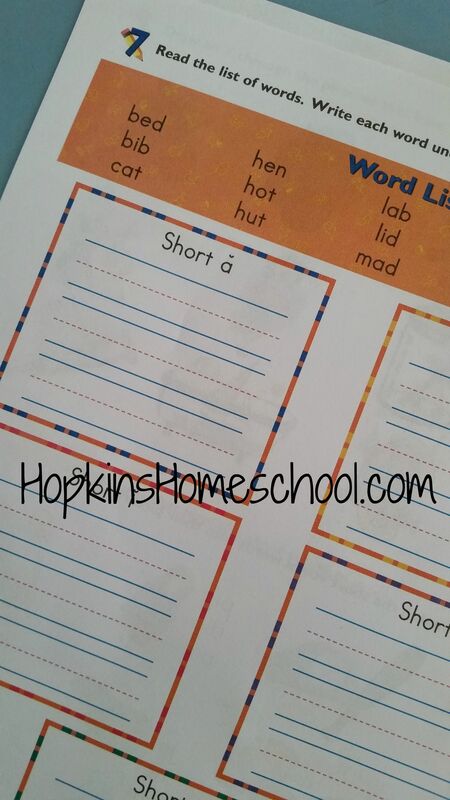 I would make sure to have the materials, usually the workbook, reader and teacher’s guide, along with the phonics rule flash cards which are located in the back of the teacher’s guide. 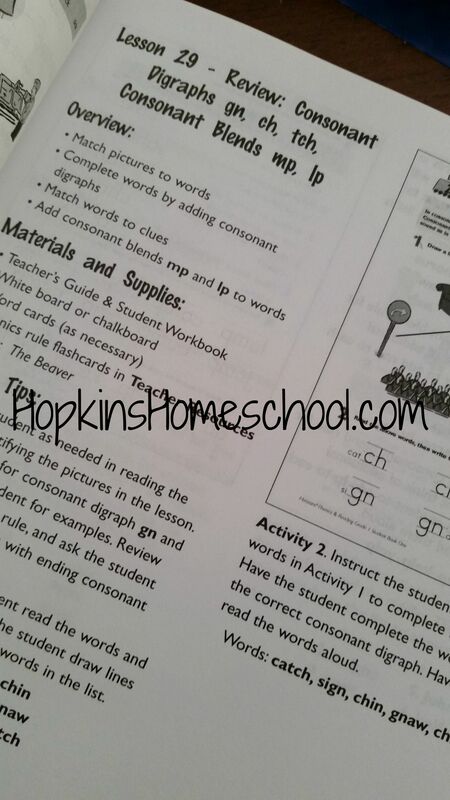 Every day there are 4+ activities on the worksheets. There are teaching tips for these in the teacher’s guide along with the answers. After going through the lesson, your child will be able to use their new skills in the companion reader. These companion readers are a perfect way to have your child show off what they know and gain more confidence. After every 10 lessons, there is a simple test to see what your child has learned. The teacher’s guide once again has the instructions for each of the activities on the test and the answers as well. While Ray Ray does not like tests, he was still able to do these and not be frustrated. 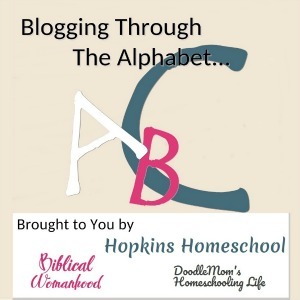 As a mom and teacher, I loved this program. I loved having the teacher’s guide. I loved being able to see the names of the pictures in my guide book for when we had some questions as to what it was. 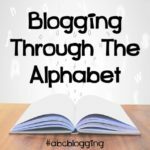 The teaching tips gave me the confidence as a mom to make sure Ray Ray was learning the phonic rules the right way and that I didn’t screw it up for him. The student workbooks have the perforated pages, which made it easy to take out only what we needed to use that day. This was a great visual for Ray Ray, as he didn’t have to see the whole book and get stressed out each morning. He enjoyed knowing how much had to be done, and loved being able to sit anywhere in the house with a clipboard instead of being stuck at a table with a book. The companion readers are a favorite in this house! Ray Ray loves to read them, knowing that he knows what the words are. I love them because they not only allow Ray Ray to practice what he is learning, but they don’t have the pictures to allow the readers to guess what is coming next in the words. They need to be able to read to know what comes next. We love this program in this house, and I am happy to say that there is not and extra struggle to do our reading lessons anymore! Alpha Omega Publications has more than just this product available. Simply check out these other reviews and see what else you might love.